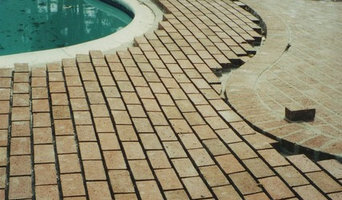 Specializing in Masonry Repair and Restoration. Serving Northwest Arkansas for 23 years. Full retail nursery and gift store, commercial and residential landscaping, landscape design, landscape lighting and design, irrigation repair and new installation ,lawn and garden maintenance. The first two letters in R&D Lawn Care & Landscaping may come from the first names of our father-son founders, Randy and Derrick Brown, but those letters could just as easily stand for reliability and dependability. We have taken pride in being reliable and dependable ever since our business got under way 21 years ago. When it comes to expert service, we have not changed one iota. Our top-notch lawn care and landscaping are the same today as in 1993 when we began. Whether residential or commercial projects, our experienced professionals find no task too tough to tackle with high-quality results. Certified Aquascape Pond Contractor. Using the ecosystem approach to building water features, we create unique features to add to your landscape and to be enjoyed by you and those around you. 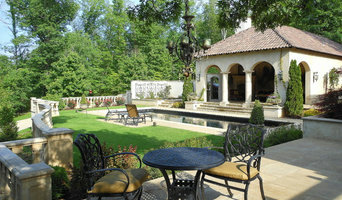 We also create one of a kind pergolas , outdoor kitchens, and patios. Being able to enjoy your yard make such a difference in being “home”. Let us help you create your dream backyard no matter what it looks like. We are a full-service landscape contractor located in Northwest Arkansas where creating beautiful and affordable landscapes are truly Second Nature. Our clients know they can expect quality installation completed by an experienced team who pride themselves on craftsmanship and integrity. 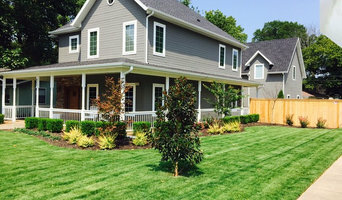 Established in 2000, Second Nature Landscapes, Inc. has grown into one of the most accomplished and experienced landscaping contractors in Northwest Arkansas. We provide full-service landscapes and hardscapes for commercial businesses, multi-family properties, and residences for customers who are focused on trust and value. Our expertise has helped provide creative landscape solutions, irrigation systems and hardscapes for some of NWA’s most prominent companies and subdivisions. As certified Allan Block segmental retaining wall installers, our landscaping company has helped homeowners and businesses of all sizes increase the value of their property with affordable, professional landscape installation. Many homeowners and business owners have a hard time finding quality lawn and landscape contractors. When you hire Artistic Landscape Alterations LLC, we guarantee you'll be satisfied with our work. Give us a call to learn more about our service guarantee. Rodden Landscaping Company knows that for your business or home to looks its best, your grounds need personal attention. But keeping your lawn and landscaping trimmed and attractive can cut into your time. So why not let us handle the hard work for you? Our comprehensive array of landscaping and grounds-keeping services makes Rodden Landscaping Company your “one-stop-shop,” whether your property is commercial or residential. We manage all property for any lawn care needs. Midwest Outdoor Concepts was founded with the goal to bring you the best quality outdoor living experience in Northwest Arkansas. 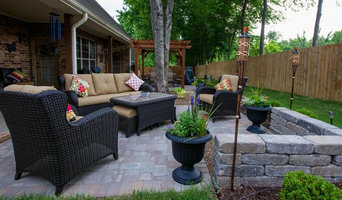 We are passionate about providing comfortable, aesthetic, outdoor living spaces for your family and we strive to provide timely superior service at all times. Owner Joe Hatfield founded the business on a deep commitment to integrity, excellence and customer service. Our core values include professionalism, respectfulness, and honesty. If something is not right, we will make it right. Lewis Landscaping, Inc. was founded in 1988 specializing in commercial and residential grounds maintenance. Today LLI is a complete landscape company offering a wide array of services including landscape design, installation and maintenance. We are a local company and serve all of NWA. Our experience is a benefit to those we serve. Call us today for a free quote!